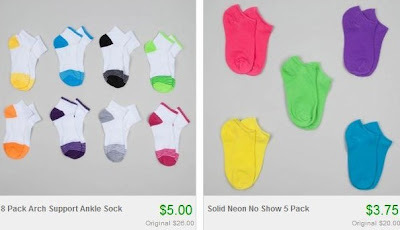 Kids' Socks as low as $0.63 a Pair! Totsy is having a great kids' sock sale where you can get socks for as low as $0.63 a pair! You'll find 3, 5 and 8 packs in lots of colors and styles, for boys and girls.